art.156: The judiciary is an independent power, the protector of the rights of the individual and society, responsible for the implementation of justice. art. 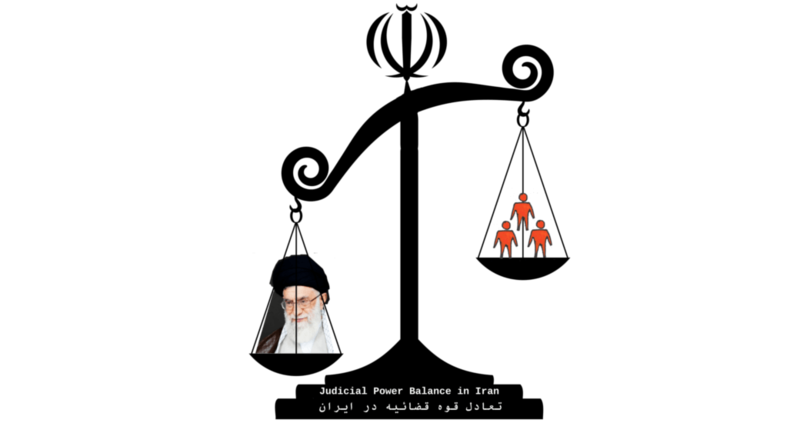 157: the Leader shall appoint a just Mujtahid well versed in judiciary affairs and possessing prudence, and administrative abilities as the head of the judiciary power for a period of five years who shall be the highest judicial authority. 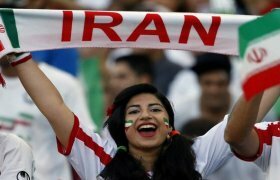 The Iranian constitution is flawed but no one seems to notice. The men who have occupied the high offices within the judiciary power since 2009 are associated with chain executions, fabricating evidence and broadcasting forced self-confession in the media. 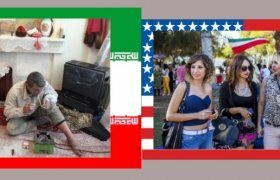 These men all indeed creatures of the Islamic-Shiite beau monde. We should see their effigies burned in public places, one day. 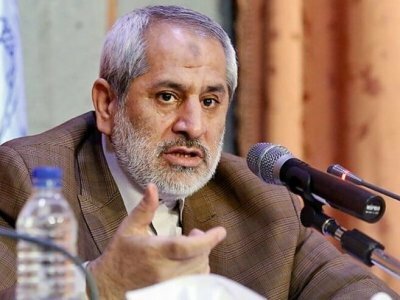 Since March 2019, the Iranian Judiciary has new head. 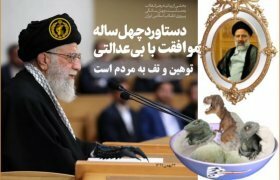 The new man in charge is no one but hojat-ol-eslam Seyyed Ebrahim Raisi. The message of our führer to the population cannot be clearer: You protest, you organise sit-ins or strikes, you criticise the people in charge. You make us feel unhappy. To keep you on the leash, I name a headsman, an executioner, a mass murderer, as the head of the judiciary. 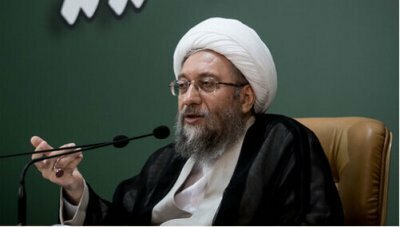 Ayatollah Sadeq Ardeshir Amoli Larijani, EX_head of the Judiciary Power in Iran. He is required to consent to and sign off every qisas (retribution), hodoud (crimes against God) and ta’zirat (crimes against the state) punishment. This includes sentences attracting the death penalty, floggings and amputations. In this regard, he has personally signed off numerous death penalty sentences, contravening international standards, including stoning, executions by suspension strangulation, execution of juveniles, and public executions such as those where prisoners have been hung from bridges in front of crowds of thousands.He has also permitted corporal punishment sentences such as amputations and the dripping of acid into the eyes of the convicted. Since Sadeq Larijani took office, arbitrary arrests of political prisoners, human rights defenders and minorities increased markedly. Executions also increased sharply since 2009. Sadeq Larijani also bears responsibility for systemic failures in the Iranian judicial process to respect the right to a fair trial. He is repeatedly listed as personae non grata by the European Union, and the USA Department of the Treasury’s Office of Foreign Assets Control (OFAC). is another murderer and violator of human rights. Dolatabadi’s office indicted a large number of protesters, including individuals who took part in the December 2009 Ashura Day protests. 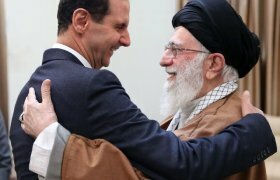 He ordered the closure of Karroubi’s office in September 2009 and the arrest of several reformist politicians, and he banned two reformist political parties in June 2010. His office charged protesters with the charge of Muharebeh, or enmity against God, which carries a death sentence, and denied due process to those facing the death sentence. His office also targeted and arrested reformists, human rights activists, and members of the media, as part of a broad crackdown on the political opposition. 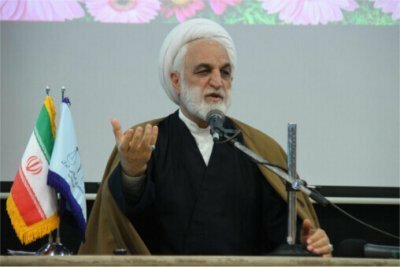 Judge, head of Tehran Revolutionary Court, branch 15. In charge of the post-election cases, he was presiding the “show trials” in summer 2009, he condemned to death two monarchists that appeared in staged trials. He has sentenced more than a hundred political prisoners, human rights activists and demonstrators to lengthy prison sentences. 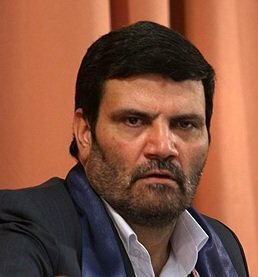 Prosecutor General of Iran since September 2009 and spokesman of the Judiciary, and former Intelligence minister during the 2009 elections. While he was Intelligence minister during the 2009 election, agents under his com­mand were responsible for detention, torture and extraction of false confessions under pressure from hundreds of acti­vists, journalists, dissidents, and reformist politicians. In add­ition, political figures were coerced into making false confes­sions under unbearable interrogations, which included tor­ture, abuse, blackmail, and the threatening of family mem­bers. Read more: Human Rights Watch, Euro_lex. 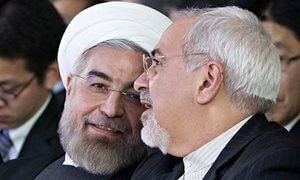 These two, H.Rouhani and M.-J. 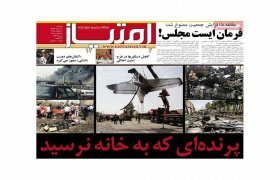 Zarif, want to convince the world that the judiciary power is separate from the executive and there must be no doubt about its fairness.